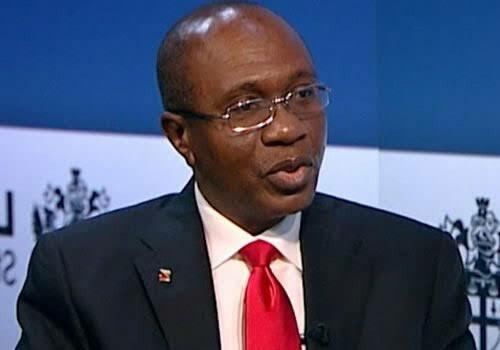 Few months from now, Godwin Emefiele, would have run the full course of his five-year term as Governor, Central Bank of Nigeria, CBN. In preparation for his exit, he has been papering over the cracks of his storied tenure in order to avoid stories that touch the heart. A source in the CBN confessed that so scared of what might happen after his term is Emefiele that the first decision he made was to move his family out of the country. This decision particularly was not hard to reach on the heels of his wife’s kidnap by gunmen in 2016. He may have reckoned that the days after he leaves office may not be any less troubled thus, his decision. Not just that, to avoid possible prosecution after office, the CBN governor has reportedly been reaching out to decision-makers and members of the National Assembly after his refusal to respond to a query from the Federal Character Commission, which is empowered by law to monitor and ensure recruitments by government offices follow the law and maintain a spread across Nigeria’s states and local government areas. It had emerged that Emefiele oversaw the secretive and selective recruitment of children and relatives of serving and former senior government officials including relatives President Muhammadu Buhari into the CBN. The bank was alleged to have disclosed that it only conducted ‘targeted recruitment’ for ‘specialists’, and that it obtained a waiver from the Federal Character Commission, allowing it to recruit without advertising for other qualified Nigerians to apply. The commission demurred meaning it was a brazen lie from Emefiele. The acting chairman of the commission, Shettima Abba, said he was unaware of such waiver, and that the commission had written to the CBN requesting its staff nominal rolls for 2013, 2014 and 2015, within two weeks.Abbah told a popular news website, “The two weeks deadline for the response to our letter expired on Wednesday without CBN’s response. We are now considering the next line of action to take. By next week, the Commission will let Nigerians know what that will be. We have zero tolerance for lawlessness and impunity.” That was in 2016. Nothing came out of that barely concealed threat. The matter took a different turn when the Say No Campaign, a coalition of civil society groups against corruption and impunity in Nigeria, petitioned the National Assembly demanding investigation into the controversial recruitment on the constitutional provision that “the economic system will not be operated in such a manner as to permit the concentration of wealth or means of production and exchange in the hands of few individuals or of a group, such as the politically and economically connected, or their children.” Consequently, the CBN governor reached out to influential members of the National Assembly to quash the petition and forestall any invitation to a panel of enquiry. Both the civil society group and the Federal Character Commission have been unable to bring Emefiele to justice underscoring speculations that the man in charge of Nigeria’s treasury may have bribed his way out of the scandal. The fear that his file may be whipped out later has necessitated some of the governor’s desperate actions.